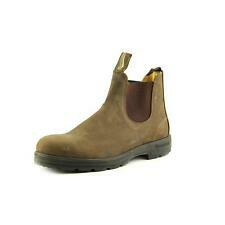 M&S Autograph ladies ankle boots Made of beige suede with leather strap detail. Pointed toes, side zip, 2.75in heel. Uk 5.5 Only worn a couple of times and in excellent condition. From a non smoking home. Classicwhite Br og ue s workonly on ce 1 00 % conditionl ik e ne w. U nw an te d gi ft a nd t o bi g.
Comfort Sole. UK Size 5-1/2. LADIES BROWN LEATHER CLARKS ARTISAN SLOUCHY BIKER BOOTS SIZE UK 5.5 E Good Used Condition Please See The Photos Dispatched with Royal Mail 2nd Class. abcd-R black buckle ankle Boots Size 5.5 . Brand new zipper fastening with buckle detail. 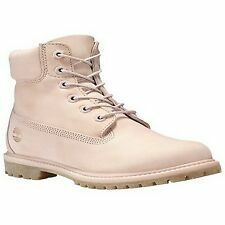 Timberland Womens Boots 5.5. Dispatched with Royal Mail 2nd Class. Never been worn. Us size 7.5 which is uk 5.5 Amazing quality boots, the fleece lining is so soft. Gorgeous black suede Chelsea boots from GAP. US size 8, which I believe is a UK 5.5 - 6. I have attached a heel grip on in right boot, which I will leave in case it’s needed, but easy to remove if not. Women’s Grey Boots Size 5.5. Condition is Used. Dispatched with Royal Mail 2nd Class. 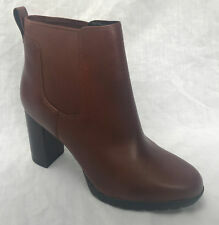 Maybe worn once but look brand new ... ALDO Brown Leather Zip Ankle Boots - size 38,5 / 5,5 UK VGC. Condition is Used. Dispatched with Royal Mail 1st Class. Tabitha Simmons Lace Up Boots. Beautiful Kid leather. Style is lace up with buttons. Only worn twice. Elastic insert with side zipper. Gorgeous blue colour. Made in italy these are quality boots. Condition is Used. Dispatched with Royal Mail 1st Class. Ugg Chelsea Boots Black Size 5.5 (small Fitting!). Dispatched with Royal Mail 2nd Class. There are are few scuffs but in pretty good used condition. Feel free to ask any questions and if you have any problems with the item please contact me and I will do my best to resolve it, please don’t leave negative feedback. Only bid if you really want the item. Please pay within 48 hours. I only post on Monday, Wednesday and Friday. Please see my other items, I am happy to combine postage. From a smoke free home. PLEASE SEE MY OTHER LISTINGS AND SAVE ME AS A SELLER TO RECEIVE MY FORTNIGHTLY NEWSLETTER TO SEE THE LATEST ARRIVALS AND DISCOUNTS- LOTS OF BARGAINS TO BE HAD!!!! Ivanka Trump Grey Suede Ankle Boots. Ivanka Trump Grey Suede Ankle Boots. Condition is Used. Dispatched with Royal Mail 1st Class. Gorgeous Clark’s Originals black patent leather desert boots size 5.5. Only tried on and worn around the house, never outside. Just don’t suit me so have ended up just taking them off. timberland boots. Condition is Used. Dispatched with Royal Mail 2nd Class. UGG Boots with Ribbon. UK Size 6. UGG Boots with Ribbon. Condition is New with box. Dispatched with Royal Mail 1st Class. 5 out of 5 stars - UGG Boots with Ribbon. UK Size 6. 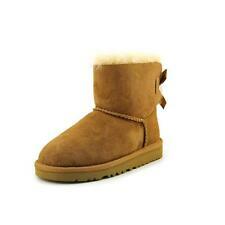 1 product rating1 product ratings - UGG Boots with Ribbon. UK Size 6. Designed for outdoor use: waterproof with sheep's wool lining for warmth. Can be worn as outdoor boots or to finish off that winter fashion look 😊. Worn once on short walk. Tory Burch Black Riding Boots- Size 5.5 Uk. 38.5 EU Gold Buckle Detail. Condition is Used. However they are in very good condition and were not worn often. From a smoke free home. Box Not Included I have included as many pictures as possible in order to show the flaws there are only a few marks and scuffs. There is foot shaping and creases. Also shown. Dispatched with Royal Mail 2nd Class. Ladies Purple Patent Timberland Boots. Condition is New with defects. Never been worn only defect or slight scratching at front which came from being stored. You can see this in the photo. Hardly noticeable. Dispatched with Royal Mail 2nd Class.